New update for Battle Royale FPS Fear the Wolves, now available in Steam Early Access. Fear the Wolves drops players, in squads or as lone wolves, into the oppressive environments of a radiation-ravaged Chernobyl. The classic Battle Royale mode forces them to fight to be the last man standing. From the launch of the early access, Vostok Games has been looking after the feedback from the community which has allowed the team to roll out multiple updates and improvements - but that was only a start, as dev team continues improving their game on a regular basis along the Early Access period. Today’s update is first dedicated to performance optimisation – many players should see a significant improvement during their gameplay sessions, while the developers continue working hard to make sure Fear the Wolves runs smoothly and reaches higher performance on all configs as the Early Access goes on. 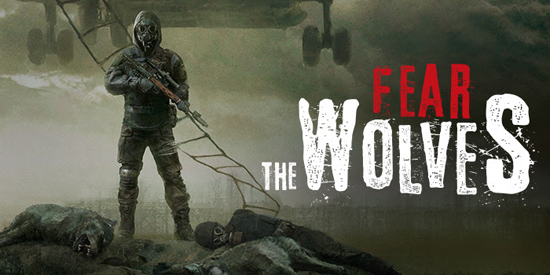 Fear the Wolves is a competitive Battle Royale FPS by Vostok Games, bringing S.T.A.L.K.E.R. DNA to the brutal 100-player arena. The game drops players, in squads or as lone wolves, into the oppressive environments of a radiation-ravaged Chernobyl, spread across a 25km2 map and forced to fight to be the last one standing. Another, to-be-unveiled mode also brings an exciting twist to the genre. To secure the top spot, players will need to worry about more than just other survivors. Across the hostile wastes, everyone is threatened by deadly anomalies and the dynamically-changing weather – voted for by players and spectators, both in-game and on streaming platforms. As time wares on and day turns to dusk, survivors must stay on their toes and constantly adapt to new situations. Protective gear allows players to explore dangerous off-limit radioactive zones inaccessible to less-equipped opponents - but filled with powerful loot. Wolves and much worse lay in wait for foolish players who don’t keep their wits about them.